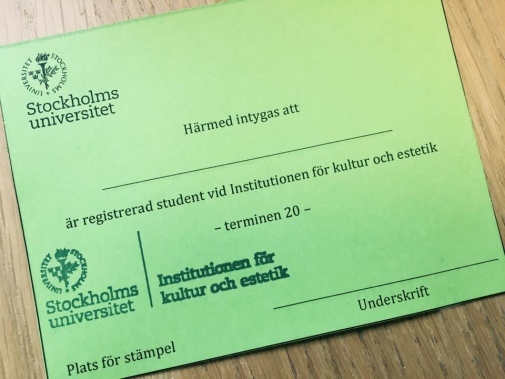 As a registered student at the Department of Culture and Aesthetics you can each semester pick up a Green Card that gives you free tickets, free admission and discounted offers to many of Stockholm's cultural institutions. In order to qualify for a green card, you must first be registered on a course with us this semester. The card can then be retrieved at the student office in room 260. When you pick up your card, you will also get a list of the offers that apply during the semester. Additional offers may be added during the semester, so please check out this website occasionally to keep you updated. Offers are always subject to availability and valid upon presentation of a green card and valid identification.